Mac Berthouex, Emeritus Professor of Civil and Environmental Engineering, University of Wisconsin-Madison, holds two engineering degrees from the University of Iowa and a PhD from UW-Madison. He has been awarded the Harrison Prescott Eddy medal by the Water Environment Federation, and twice was awarded the Rudolph Hering medal by the American Society of Civil Engineers. He is a member of the University of Iowa Distinguished Engineering Alumni Academy. At UW-madison he taught industrial pollution control, cost engineering, and process design. He has advised more than 100 M.S. and PhD students. Before joining the UW-Madison he was Chief Research Engineer for GKW Consult in Mannheim, Germany, where he designed the water treatment plant for Lagos, Nigeria. He has been project manager of three Asian Development Bank projects in Indonesia and Korea, and has worked in India, Samoa, New Zealand, England, Denmark, Taiwan, and Mexico. 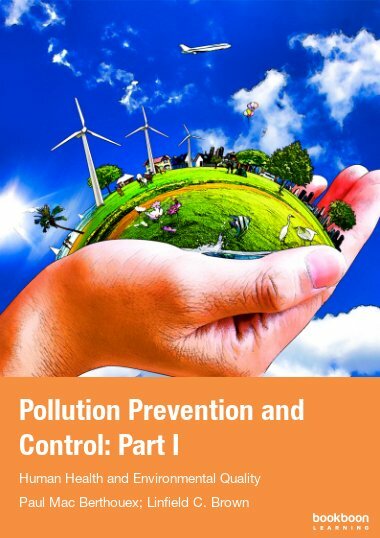 He is co-author, with Dale Rudd, of ‘The Strategy of Pollution Control’ and with Linfield Brown of ‘Statistics for Environmental Engineers’. Linfield C. Brown is Emeritus Professor of Civil and Environmental Engineering, Tufts University. He has B.S. and M.S. degrees from Tufts and the PhD from the University of Wisconsin-Madison. He joined the faculty at Tufts in 1970, and served as Chair of Civil and Environmental Engineering from 1981-1992. He taught engineering statistics, water chemistry, environmental modeling, and process design at Tufts. Tufts honored him with the Lillian Liebner Award for excellence in teaching. He helped to develop the QUAL2E and QUAL2E-UNCAS water-quality models, has been a consultant on water-quality modeling to the U.S EPA and a variety of states, industries, and engineering companies, and has taught modeling courses in England, Hungary, Poland, and Spain. He is an expert in environmental statistics and co-author of ‘Statistics for Environmental Engineers’ and has taught many short-courses on this subject.